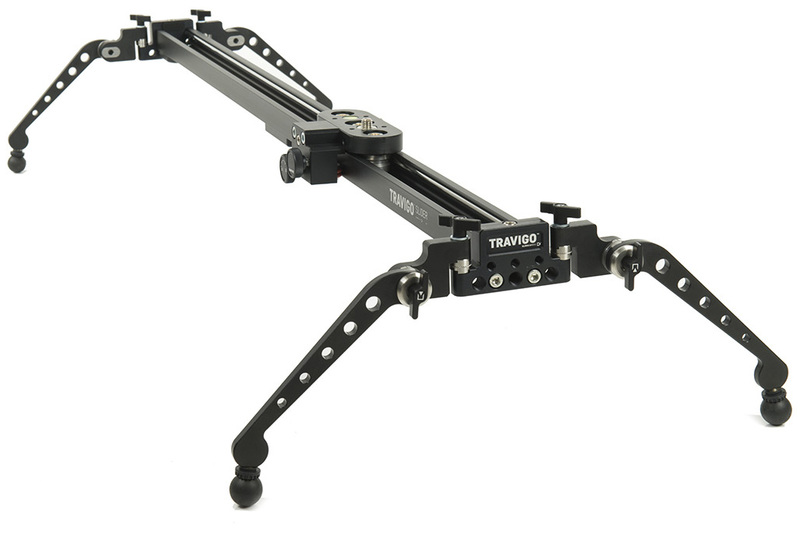 Slidekamera TRAVIGO SLIDER is a professional equipment perfect for smooth shots during the camera movement. Suitable for light cameras and photo cameras of a total weight up to 4kg. Aluminium construction of the rail guarantees stregth and lightness of the device. There are two stainless steel (INOX) bars inside the rail. The cart is equipped with three bearinged rollers made of stainless steel (INOX). Additionally, rollers are placed inside the cart in a way that provides perfect protection against damage. The cart is equipped with four M4 threaded holes and two 1/4" holes for mounting accessories in various combinations. 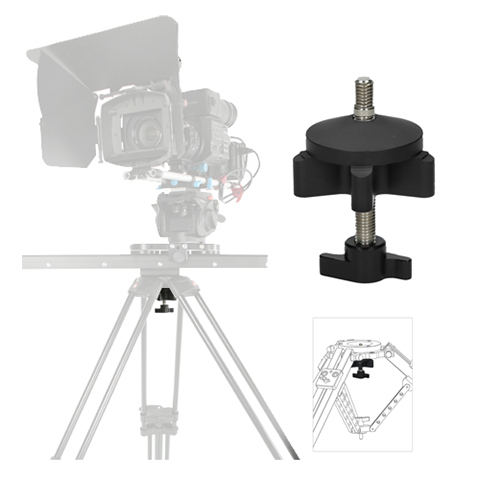 It is also equipped with a central mounting port with 3/8" and 1/4" holes, and two mounting ports on both ends of the railwith 3/8" holes, that allow to mount the device on two tripods. SMART BRAKE TRAVIGO is equipped with 2 marked knobs. One of knobs is used to completely stop of the cart (PARKING BRAKE) and second knob is used to smooth change of the resistance movement of a cart (DAMPING). Mounted method in same way as normal parking brake (BRAKE TRAVIGO). Allows for automatic continuous tracking of the object by the camera during the movement of the cart. Thanks to the SMART EYE system the object that is being filmed remains all the time in the centre of the frame. 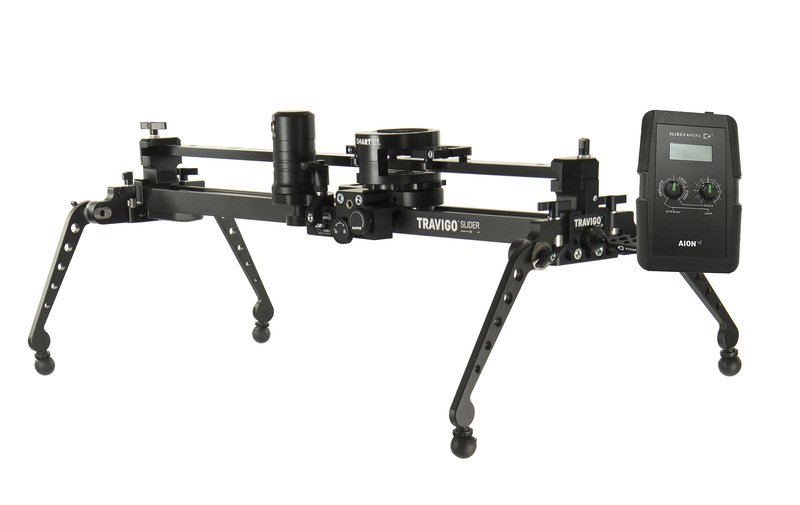 X MOTOR 40 drive for the TRIVAGO SLIDER is perfect for both live action and stop motion shots. The right engine, with a precise mechanical gearbox result in a very versatile device. It allows not only a very fluid camera live action motion, but also works great for timelapse or stop-motion photography. Every movement can be programmed and repeated many times with the same precision. HDN DC Silent Drive, dedicated for Slidekamera devices, is equipment specially designed for smooth shots in motion ranging from 2mm/s to 55mm/s as well as Timelapse photos. 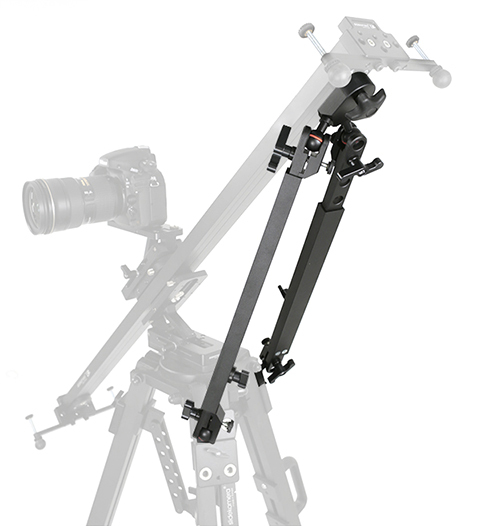 Provides additional support for a slider mounted on a tripod (horizontally, vertically or at any desireable angle).